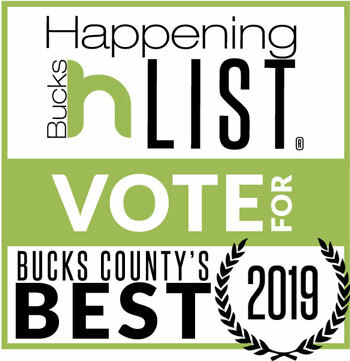 Bucks Happening has nominated the Bucks Locavore ~ Buy Local Event For 2019 Everything Bucks: Foodie Event. We need your vote to bring home this award for the 40 plus local food and beverage producers showcased in this great event. The Regions Best Chefs, Vineyards and Breweries all collaborating to create truly unique and truly local foods. Help support your great local food and beverage producers by Voting for: Bucks Locavore, Buy Local Networking Event (Bucks Locavore ~ Buy Local Networking Event). Be sure to save the date of February 21st, 2019 for the 10th Annual Bucks Locavore ~ Buy Local Business Networking Event. This event has been named the areas best professional networking event of the year by The Intelligencer and The Best Foodie Event by Bucks Happening. The Locavore ~ Buy Local Event celebrates and promotes independent, locally owned businesses in and around Bucks County, PA featuring over 40 of the region’s top food and beverage purveyors. You won’t want to miss this unique award winning business networking event or the fantastic local food and beverages that will be featured. Come and experience this award winning event. February 21, 2019 – 5 to 8 pm. This event is sponsored and hosted by Superior Woodcraft, Inc.